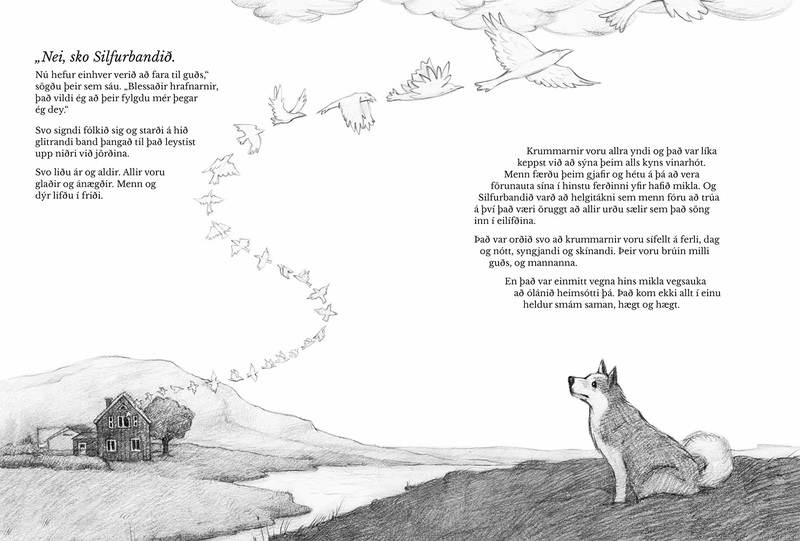 Yesterday, the mighty fine Icelandic publisher Bókabeitan released a 3 book series with stories by the late Björn Daníelsson, who was a principal and a teacher as well as an author of children's stories. 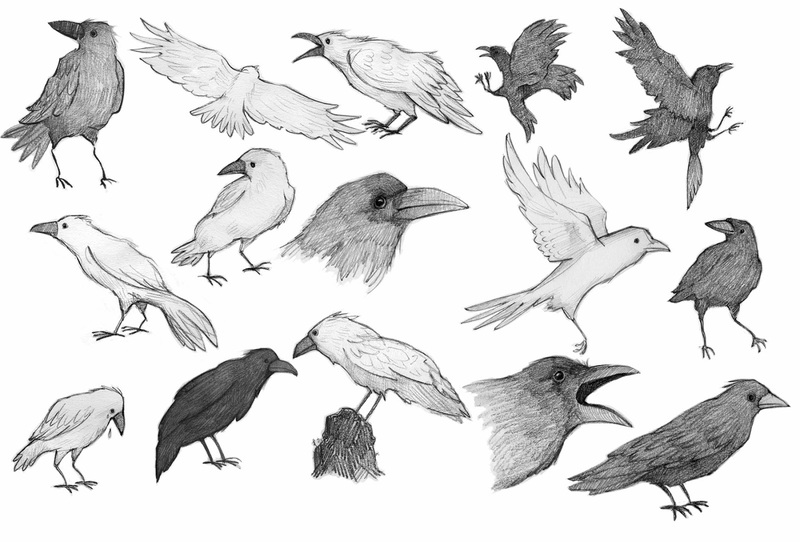 I was lucky enough to illustrate one of his stories, Krummahöllin (in English it might be called The Raven Palace). 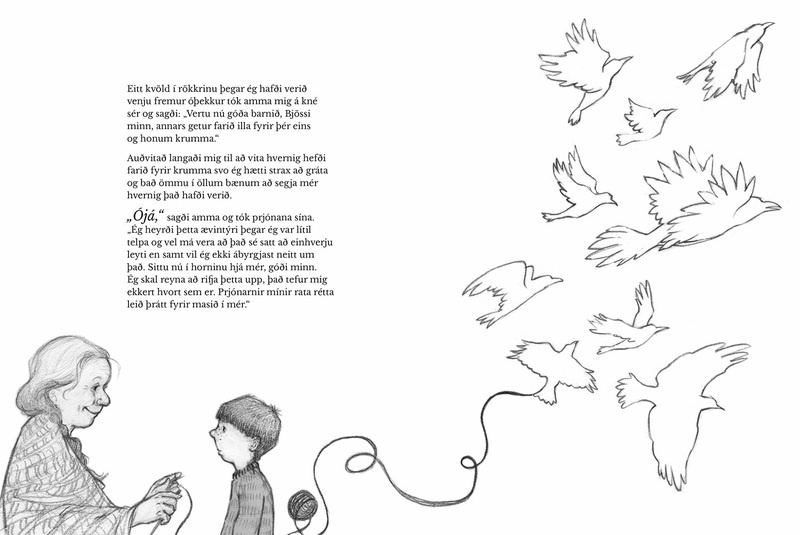 Björn's stories were first published between 1949 and 1968, and in honour of his 94th birthday, Bókabeitan re-released his books, two of those with the lovely original illustrations by Sigrid Valtingojer (who happened to be my teacher once a while ago) and then Krummahöllin with new illustrations by me. 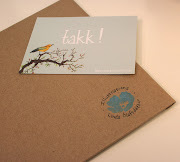 Once again I was fortunate to be able to work alongside my favorite designer Helga Guðný at SpoupDesign. She and I recently wrapped up the stamp series for the Iceland Post and it's such a joy to work with her! She managed the layout and design of all three books and did such a beautiful job binding those three different stories together! For every new project you put on a different hat. Sometimes it's within your comfort zone and sometimes it's way out of it. 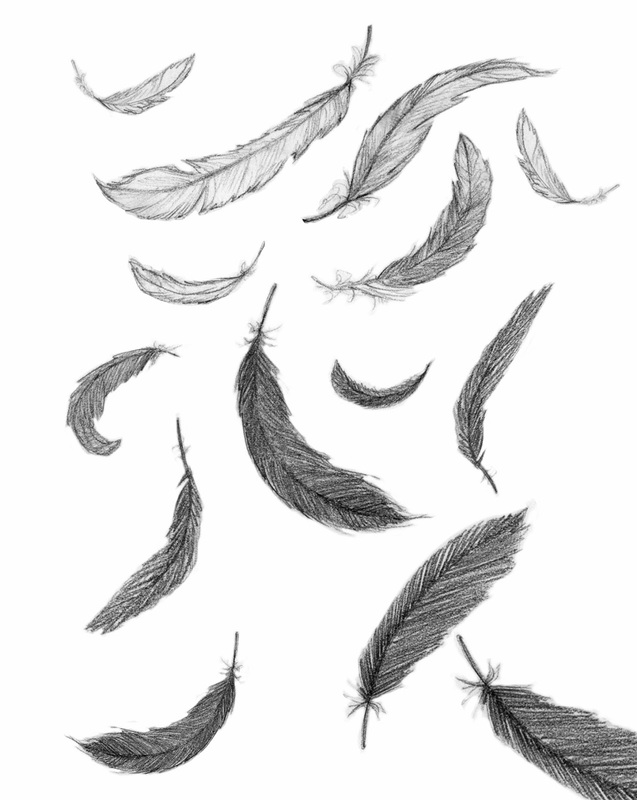 I really love drawing birds, so I felt quite comfortable and very excited about this project. So this time my hat was made out of feathers, given the story is about ravens! The interior illustrations are in Black & White. 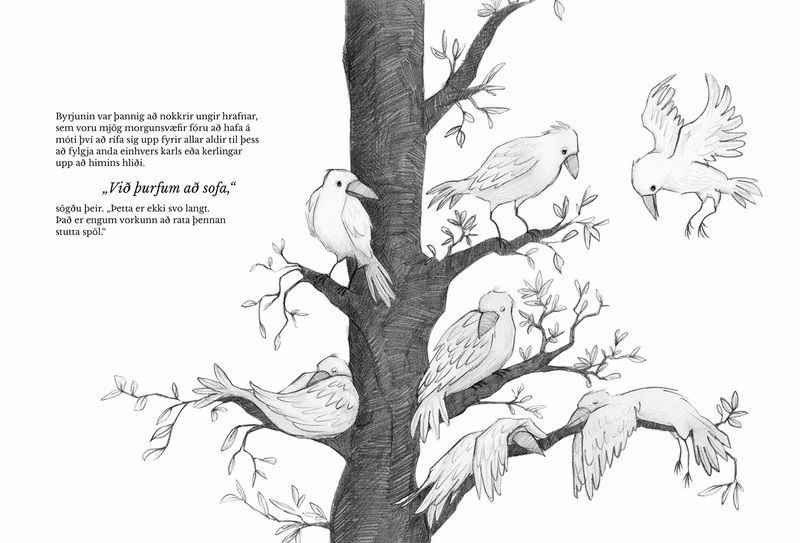 Below you can see a few spreads from the book. 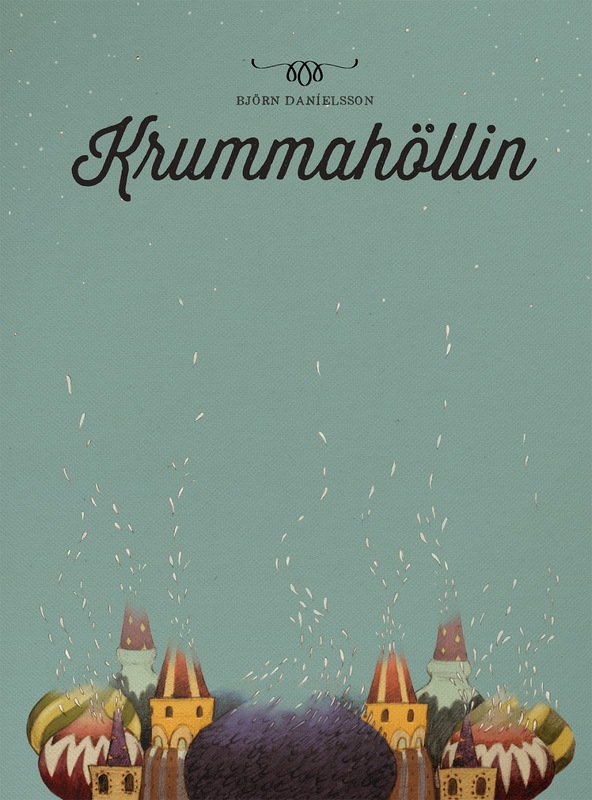 Krummahöllin, Puti í kexinu and Strandið í ánni are available now in your local book store (in Iceland)! So what are you waiting for; run, bike, drive, swim or book a flight and get a copy!